ITW Dynatec, a global leader in bonding and sealing solutions, recently introduced the latest version of its Gemini™ Hot Melt Hose. ITW Dynatec recently introduced a new version of its Gemini™ Hot Melt Hose, the only product on the market of its kind with dual sensors and dual heaters. Designed to exceed the most exacting industry standards for materials, construction and performance, the next generation Gemini hoses are durable, highly adaptable, and represent a “best-total-value” for manufacturers representing a variety of industry sectors worldwide. ITW Dynatec’s new Gemini™ Hot Melt Hose is currently the only product of its kind available with dual sensors and dual heaters. This unique configuration solves the problem of downtime and delays that frequently occur when traditional single-strand hot melt hoses fail during use. These available features translate into more uptime, less maintenance, and more efficient operations. 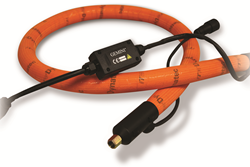 The exclusive back-up heater and temperature sensor of the Gemini activates in the event of a hose failure. If the primary circuit fails, the system immediately alerts the operator to the failure. With the simple flip of a switch, the back-up circuitry can be activated to keep the unit up and running. This assures maximum uptime by switching on the second heater, allowing the hose to continue to function normally until the next preventative maintenance is performed. ITW Dynatec’s industry research supports the need for advanced hose technology. Typical downtimes caused by traditional hose failures and changeovers can last as long as 45 minutes after troubleshooting, replacement part sourcing, removal of the failed hose, and installation of the replacement part. Single-strand hoses also require pre-heating to the correct operating temperatures and then must be pressurized to fill the hose with the hot melt material. All these steps must occur before production resumes. The next generation Gemini Hot Melt Hose is also designed with safety, versatility, and reliability in mind. Each hose unit has multiple electrical ground channels for safe operation, and a maximum continuous operating temperature of 218°C (425°F). The heater wall-density is also optimized for the entire length of the unit to eliminate material char. This prevents slower moving material along the hose inner wall from charring, which can clog the filters and nozzles. Gemini hoses also have a maximum operating pressure of 86 bar (1250 Psi) at 218°C (425°F) and a minimum burst pressure of 344 bar (5000 Psi) at 218°C (425°F), for best-in-class strength and performance. ITW Dynatec, a division of Illinois Tool Works, Inc. (ITW), designs and manufactures a full range of industrial adhesive applications for the disposable hygiene products, automotive, and packaging industries worldwide. ITW Dynatec’s fluid dispensing systems are used globally in the manufacturing of a wide range of consumer and industrial products. A worldwide network of industry-leading customer service and support backs the company’s state-of-the-art technology. ITW Dynatec operates five world-class production facilities strategically located around the globe. For more information, please visit http://www.itwdynatec.com.